As your little one grows, he or she will have to go through many milestones. One such milestone is potty training your child. Potty training can often take weeks or even months to do. While the amount of time it takes for your child to become potty trained depends on your child's age and personality, what if I told you that you could potty train your child in just 3 days? While this may seem impossible, this method actually works. It requires a lot of patience and hard work, but by the end of day three, your child should know how to use the toilet on his or her own. In this article, I'll go over all the tips for how to potty train in 3 days. Hopefully, this article will answer all your questions on how to potty train in 3 days. Some parents try to potty train their children too early, making the process much more difficult than it has to be. The first and most important tip for potty training in 3 days is to start as soon as your child is ready. The average potty training age is between 18 months and 3 years. Signs that your child is ready for potty training include if your child complains when his or her diaper is wet, is interested in the toilet, can do tasks independently, and their diaper is dry during the day. Pick a time to potty-train your child that isn't stressful. Even simple things such as marriages, new babies, vacations, and friends visiting can be stressful on your child. Choose three days that will be calm and non-eventful to potty train your child. Potty training your child in three days requires you to be there with your child for a full three days. Don't plan on scheduling other appointments in. Stock up on supplies so that you won't need to go shopping for three days. If you have to go to work during the week, consider potty training your child from Friday through Sunday. You may want to have some freezer meals planned out so that you won't have to cook for these three days. All of your time should be spent encouraging and watching your child. Accidents happen, and your child should learn from those accidents. Don't punish your child if he or she doesn't make it to the toilet on time. Instead, explain to your child about how he or she should try to get to the toilet next time. This may sound unnecessary, but reminding your child to use the bathroom can actually be helpful. It is especially important to do this during the night. Plan on setting an alarm at a certain time and then go wake up your child. As for during the day, plan on reminding your child to use the bathroom every 20 minutes. On the second day, you may want to extend this time to every 30 minutes. Hopefully, by the third day, your child will remind him or herself when he or she has to go. In order for your child to be potty trained in 3 days, you must give him or her plenty of liquids. Otherwise, your child may not use the bathroom for hours. Give your child plenty of water or juices. After your child takes a drink, walk him or her to the toilet. In order for potty training in three days to be a success, you must have all the right supplies. The main item you'll need is a potty training seat, also known as potty chairs. All potty training seats are made differently. Some potty training seats are like a little baby toilet. These chairs are designed for younger children who may not be ready for using the toilet. Other potty training seats are seats that get placed onto the toilet. They usually have a little ladder that makes it easier for your child to climb up onto the toilet. In addition to buying a potty training seat, you may want to purchase some potty training underwear or potty training pants. Potty training underwear and pants are designed to either be reused or thrown away if your child has an accident. It is supposed to feel different than a diaper so that your child knows not to have accidents in them. The main purpose of potty training pants and underwear is that it makes your life easier if your child does have an accident. Train yourself in advance how to care for your child during these three intense days. Most parents stay inside all three days so that they are always near their child to remind him or her to use the bathroom. The best potty training books include "Potty Training in 3 Days" by Brandi Brucks, "Easy Peasy Potty Training" by Julie Schooler, "Stress-Free Potty Training" by Sara Au, and "3 Day Potty Training" Lora Jensen. Another great book to consider reading is "Potty Train Your Child in Just One Day" by Teri Crane. It teaches you how to potty train your little one in only one day. 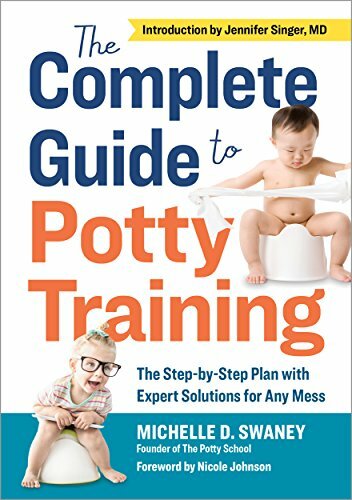 Keep in mind that not all children can be potty trained in just one day, but this book helps you understand how to potty train your child quickly. Whatever book you choose to read, you will become educated on how to potty train in 3 days. 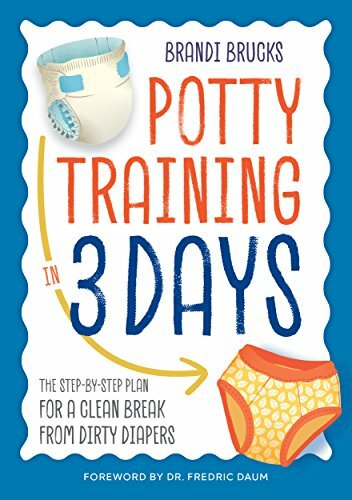 Not only should you start reading about how to potty train in 3 days, but you should get your child some books as well. There are so many fun potty training books that teach your child how to use the toilet. They are usually easy to read and have lots of pictures so that your child can understand it, even if your child is very young. Research has shown that punishing your child after he or she has an accident can cause your child to not want to use the toilet. As frustrated as you may be, remain positive. Encourage your child and praise him or her when your child uses the toilet. Once your child starts learning how to use the bathroom on his or her own, you may want to have a party. The party doesn't have to be expensive or be too big. Your family can simply celebrate by playing some games together, eating cake, or maybe even buying some presents for your little one. If you decide not to have a party, you should still reward your child in some way. A small gift like a stuffed animal or maybe new underwear or pants are great ideas. Stickers are also a great idea, as they are inexpensive and they are fun. Keep in mind that while some children will love all of the attention, others may be embarrassed and uncomfortable. Pay attention to how your child responds to all the attention. It is common for potty-trained children to experience accidents once in a while. In order to prevent a potty-training backslide, continue to help your child use the bathroom after the three days of potty training. This means that you should still remind your child to use the bathroom and help walk your little one to the toilet. Talk to your child about why he or she has to learn to use the bathroom on the toilet. Small rewards can be helpful, but avoid giving too many rewards. Praising your child should be enough to encourage your child to continue using the bathroom on the toilet. Can I Potty Train Girls and Boys In the Same Amount Of Time? Although potty training for girls is slightly different than potty training for boys, you can potty train both boys and girls in the same amount of time. Of course, how long it takes to potty train your child depends on your child's age and personality. However, most children should be able to be potty trained in 3 days. I hope this article has helped you understand how to potty train in 3 days. While potty training your child in 3 days may not seem possible, it is actually a method that works. You will, however, have to plan on spending three full days with your child. Don't schedule anything else in such as shopping, cooking, or visiting with friends. 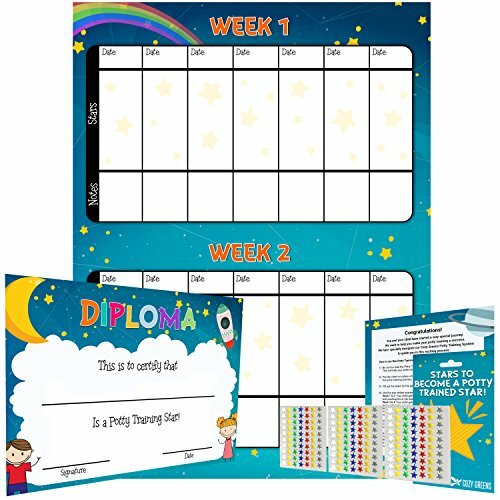 You will need to create a potty training schedule, which means you should probably remind your child to use the bathroom every 20 or 30 minutes. Remember that potty training your child requires plenty of patience. Your child may not learn right away, but by day three, he or she should know how to use the toilet on his or her own. I hope this article on how to potty train in 3 days has been helpful.